With Class 12th results out, students and parents have been searching for suitable colleges. High on their list are educational institutions which are innovative and offer programmes which impart skills that are in high demand in the job market. To meet this growing demand, Indian educational institutions have been quick to adopt Information and Communications Technology (ICT), taking the teaching-learning process at universities and colleges to the next level, observes Priyanka Sharma of Elets News Network (ENN). It has been estimated that in the next 10 years, more than 50 crore Indians will be attending higher educational institutions. With demand for colleges projected to go up, innovation and changes in curriculum are required to meet the growing demand. The globalised labour market requires students with new skills. With IT industry laying-off people at a large scale, educational institutions and universities need to adopt new ideas and pedagogies to enhance the learning of students and skill them simultaneously. How technology is changing higher education in India? Digitisation of books: Learning from the West, Indian universities are now creating their own digital repository of books so that students can be provided a digital learning environment. It enables students to learn through e-books, pictures, videos, simulations and visualisations. Using ICT, the National Mission on Education is trying to formulate new online course content for Undergraduate (UG), Post Graduate (PG) and Doctoral students. Course content for more than 130 courses, both in UG and PG, is underway. “We have installed smart board in our classrooms. It enhances the teaching experience and ensures the learning in classroom is more interactive and participative. We encourage the practice of conducting lectures through audio-video/video conferencing, as it is a very engaging and interactive tool of teaching,” says Dr Minu Madlani, Principal of Mumbai’s KPB Hinduja College. New age technology platforms that help in assessing performance of students, teachers and institutions as a whole are increasingly being adopted by educational institutions in India. New methods of teaching: Universities are also rendering content through radio, TV and satellite. The All India Council for Technical Education – Indian National Digital Library in Engineering and Technology (AICTE–INDEST) is a consortium which has been set up by the Ministry of Human Resource Development to make journals and bibliographic databases easily accessible to the students. University Grants Commission (UGC) has also created its digital library consortium access to journals and bibliographic databases covering subjects such as arts, humanities, technology and sciences. “New age technology platforms that help in assessing performance of students, teachers and institutions as a whole are increasingly being adopted by educational institutions in India. Cloud-based platforms such as Microsoft’s Edu-Cloud, which helps classrooms go paperless, are also finding takers. Also, apart from the latest developments in smart classrooms, 3D printing and virtual reality are being adopted in the field of education,” says Monica Malhotra Kandhari, Managing Director of MBD Group. The National Mission on Education is also in the process of establishing a virtual technical university to impart training to UG/PG students along with new teachers. Mobile phones: With the increased use of mobile phones, educational institutions can easily approach students to make them aware about the courses. Tasks like administration, sharing class notes, downloading lectures, instant messaging, etc have been made easy by a simple smart phone. Mobile phones are also being used to access computer files from remote locations. There are services like “Soonr”, which allow students to access their assignments on the computer, even if they have forgotten to bring them to the college. “Current technologies like smartphones and tablets are making life a lot easier for students and educators. Newer technologies like Virtual Reality, Augmented Reality and game-based learning (applied games), if implemented correctly, can bring about a major shift in the way students and teachers interact with each other,” says CEO and Founder of WITS Interactive Hitesh Jain. Social learning: The internet has provided students with a variety of options to get additional information on their courses. Delivery websites such as Youtube, iTunes U and Big Think are introducing a new trend in higher education. Students today are using various websites, blogs and social media channels, as well as new online video repository to get the content for a specific subject or course. “The method of teaching has changed over the years, as students like to go beyond textbook. Online learning tools help students grasp concepts easily. Graphical and visual representation of complex topics and concepts make learning easy. It is necessary to evolve newer teaching techniques with time because of digitization and information technology developments. 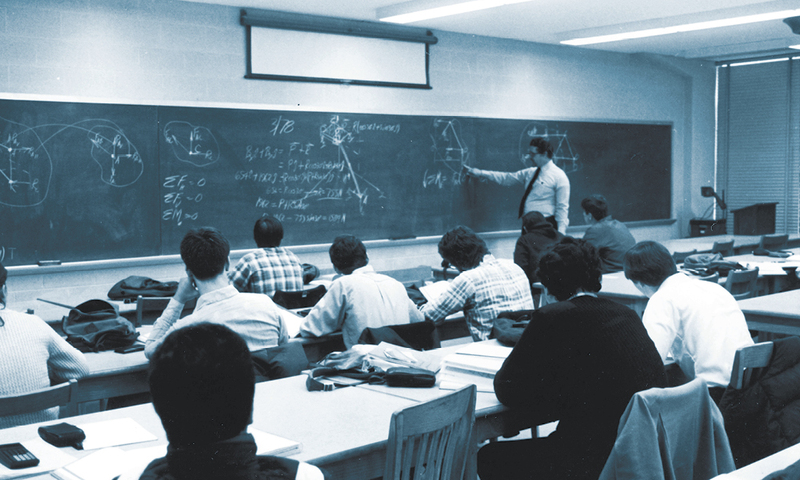 Teaching now is not limited to chalk and board. Teachers use power points, case studies to connect with students. This has to be incorporated in day to day learning,” adds Madlani. National Programme on Technology Enhanced Learning: A concept similar to the open courseware initiative of MIT. It uses Internet and television technologies. Indira Gandhi National Open University (IGNOU) uses radio, television and Internet technologies to provide content and deliver lectures. Eklavya initiative: It uses internet and television to promote distance learning. IIT-Kanpur has developed “Brihaspati”, an open source e-learning platform (Virtual Classroom). Innovative deployments of ICT solutions have been instrumental in transcending multiple barriers in providing access to education in the country. With increasing digital literacy in the country, ICT solutions have gained momentum in driving quality education. Many institutes have collaborated with NIIT for providing programmes through virtual classrooms. Jadavpur University is using a mobile-learning centre. IIT-Bombay has started the programme of Centre for Distance Engineering Education Program (CDEEP) as emulated classroom interaction through the use of real time interactive satellite technology. “Technology and innovation are creating progressively appealing alternatives to current systems of education. Moreover, by incorporating experiential learning into daily teaching practices, students have a higher retention of data and concepts due to the hands-on approach as compared to traditional teaching practices,” added Jain. The UGC initiated a scheme called – ICT for teaching and learning process to achieve quality and excellence in higher education. Along with this, UGC has launched a mega programme namely – UGC INFONET. It is a network of Indian universities and colleges with integration to Information and Communication Technology (ICT) in the process of teaching, learning and education management. In addition, UGC is encouraging creation of e-content for improved teaching-learning processes in colleges and universities. Limited access to computers: Higher education without laptops and computers cannot be imagined today, but there are a large number of colleges in rural areas where computers are yet to reach. Rural India is still far behind in adoption of information technology. One of the main reasons for it is inadequate infrastructure. “In India, there exists a huge gap in accessibility to higher education. A majority of the population lives in rural areas where the facilities for education are simply unavailable. This makes it extremely important that innovative ideas and platforms are developed that can take education to the masses. The young population needs easier access to knowledge and training if we as a country are to positively leverage our demographic dividend. And for that, technological as well as systemic innovation hold the key,” adds Kandhari of the MBD Group. Innovative deployments of ICT solutions have been instrumental in transcending multiple barriers in providing access to education in the country. With increasing digital literacy in the country, ICT solutions have gained momentum in driving quality education to the nooks and corners of the country. With government initiatives such as “Digital India”, with a vision to transform the country into a digitally empowered society and knowledge economy, ICT solutions will play a more critical role not only in promoting education but also towards boosting digital literacy.